You may subscribe to our RSS feed - Twitter or facebook. If you are an RF Explorer user, you may also want to subscribe to our official distribution list for technical news and online discussion forum. 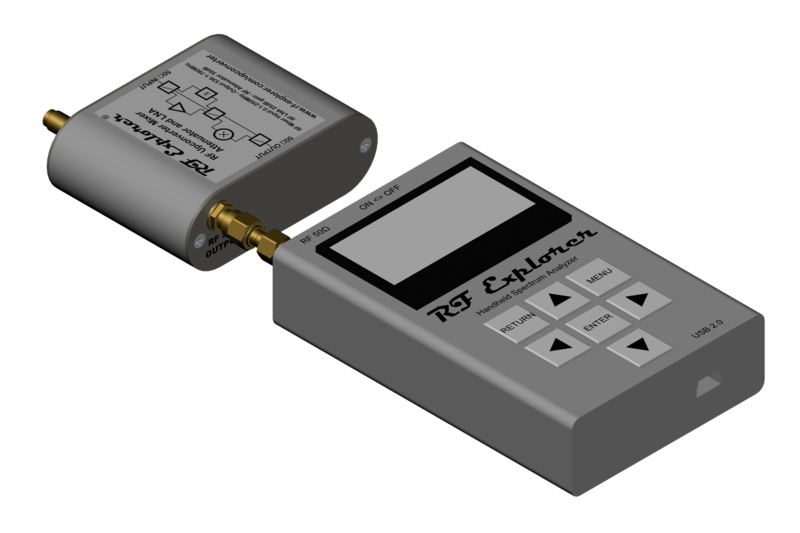 RF Explorer Firmware v1.26 for Spectrum Analyzer Standard models, as well as RF Explorer Preset Manager is available for Mac users. Download and install firmware following instructions from this link, as usual. Download and install Preset Manager for Mac from our download page. RF Explorer for Windows v1.26.1805.2 is available for download. This new version include several bug fixes and enhancements, including full support for Presets. Presets can be created and modified in the spectrum analyzer unit itself, in a standalone Preset Manager tool (available for Windows and Linux, soon will come available for Mac). 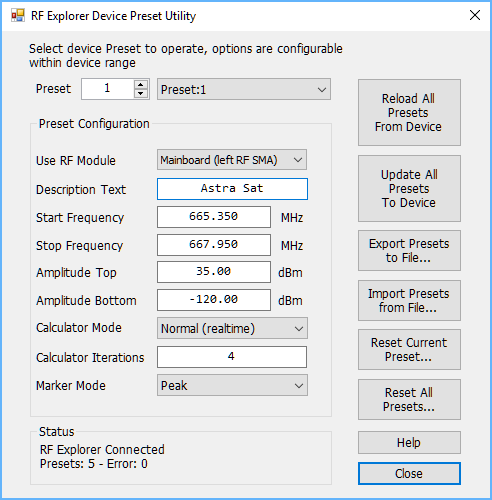 The powerful Preset manager is also integrated with the RF Explorer for Windows application in the "Device" menu. For more details visit Presets help page. For more details please check firmware release notes. This release includes support for the new Preset Manager tool. The firmware v3.06 also adds support for expansion boards RFEMWSUB3G and RFEM24G, so you can easily expand the frequency coverage of your PLUS unit. For more details firmware please check firmware release notes. To learn how to use the new Preset capabilities in the Spectrum Analyzer device, please read updated user manual. This version comes with several bug fixes and adds the powerful Preset support. The firmware upgrade is recommended for all customers, but note the Preset functionality is only available for Combo models (2 RF connectors with extra memory inside). For units with no extra module, it can be easily converted to a Combo model by adding aRFEMWSUB3G or RFEM24G. These are free downloads as usual available in website main download page, please check different sections for Windows and Linux. This version includes latest changes for WSUB1G+ support including features such as high resolution scan mode and input stage selection. We are committed to continuous update of our software and hardware support so you can get the best of RF Explorer instruments, everytime. RF Explorer for Windows v1.23.1711.1 is available for download. This new version include several bug fixes and enhancements, including BETA support for RF Explorer WSUB1G PLUS high resolution mode. This new mode enables sweep configurations of up to 4096 data points, at the moment only supported in this model. The RF Explorer Upconverter support is also added with all required amplitude correction files and Frequency Offset important fixes. For more details please check release notes. This is a bug fix release, recommended to all users of the new WSUB1G+ model. This version comes with several bug fixes and is recommended to all users of Spectrum Analyzer models different than WSUB1G+. These are free downloads as usual available in website main download page (link). Note: Firmware upgrade for Mac OS users will be released in a few days, currently only Windows versions are released. 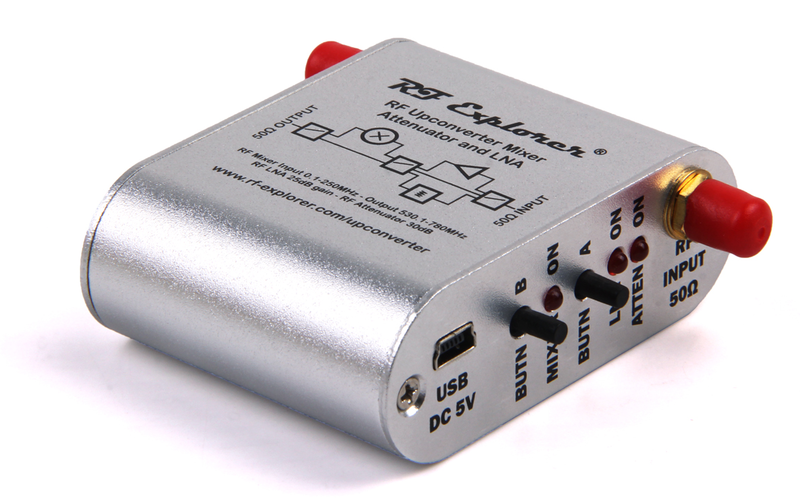 This device can largely improve the measurement capabilities of any Spectrum Analyzer, as well as extend the reception and versatility of your low cost SDR.